Vietnam awesome travel food - Let's rule out 'pho' and sample the rising stars of Vietnamese cuisine. Bun cha, "cursing rice noodles", snails, duck embryos and banh mi - ever heard of them? They've been catching the attention of foreign visitors of late, and some have already made it onto the international culinary stage. Regardless of their sheer weirdness or genuine quality, these dishes have moved the country's culinary reputation on past the traditional pho. Bun cha never used to be a real competitor against other famous street foods, such as banh mi, pho and cuon (spring rolls). It was only popular in Hanoi because in other cities, even Saigon, people had never heard of it. But the dish’s destiny has taken a turn. This is best food in Hanoi. After the visit of former U.S. President Obama to Vietnam in 2016, bun cha (noodles with grilled pork) stirred up a social media frenzy, and now the dish is renowned among international visitors. Unlike other favorites that contain secret spices like pho, the ingredients for bun cha are easy to find and the recipe is not that complicated. All you need is sweet and sour smoky broth, barbecued minced pork patties and soft white rice noodles, along with a lettuce, cilantro and herb garnish. This is the name that world-renowned chef Anthony Bourdain, who accompanied Obama on his bun cha experience, calls the noodle shop on Ngo Si Lien Street in Hanoi. The place is known for its sharp-tongued owner, a middle-aged lady who does not pull any verbal punches when talking to her customers. Bourdain's bizarre eatery experience at the shop, which stirred mixed opinions among Vietnamese viewers, was featured on the second episode of CNN food show Anthony Bourdain: Parts Unknown. Following the episode, more people have ironically been flocking to the shop out of curiosity, and its popularity has grown. After all, bowl of vermicelli noodles, pig's tongue and ground pork, peppered with some tasty language, must be worth a try. Otherwise, all the debate over "dignity or food" surrounding the shop would never have started in the first place. Vietnamese people love to eat snails, but will only dig into a certain species. They eat oc (Vietnamese freshwater snails), which are smaller and chewier than their land-based cousins. Cooked snails are arranged neatly in a bowl of white rice noodles with fried tofu and fresh herbs, and the dish is finished with a hot, sweet and sour broth that is poured over the cold ingredients. For the final touch, a few slices of cooked tomato are placed on top. However, with a variety of cooking methods, from boiled and steamed to fried with pepper, garlic and chili, this folk dish has "reached new heights" and fascinates many visitors from far-flung places. Vietnamese people consider banh mi a common dish. A baguette with various fillings which may not necessarily follow any certain pattern. Standard stuffings include meat, which can be grilled pork, meatballs or cold cuts, with cucumber slices, cilantro, pickled carrots, liver pâté and a swipe of mayonnaise. Banh mi is actually one of the best-selling dishes among foreigners visiting Vietnam, with many even hailing it as the best sandwich in the world. While banh mi has become increasingly popular and easy to find in many countries, the best place to eat one is still on the streets of Saigon. Trung vit lon, duck eggs with the embryos inside, are a popular street delicacy across Vietnam. They can be boiled, stir-fried, tossed or poached in soup. However, this unconventional dish can be a real challenge for many foreigner visitors in terms of both ordering and consuming. It’s easy – at least for non-Vietnamese – to mispronounce the name for a fetal duck egg as something quite rude, so perhaps it’s best to just point at the eggs, unless your Vietnamese is tone-perfect. Besides, the feeling of snacking on a baby duck can spook some people. But for those who take the duck fetus challenge, they may find its richness to their liking, especially when combined with salt, pepper, lemon and Vietnamese coriander. Nutritionists also say they're good for your health. Saigon is considered by many visitors as one of Asia's culinary heavyweights, and its name rings out besides the likes of Bangkok (Thailand) and Penang (Malaysia). Street food in Saigon is rich in variety and flavor, and is sold from early morning until late at night. Most snacks cost less than VND45,000 (about $2), but still promise to satisfy even the most difficult diner. Recently, CNN Travel aired a short film introducing street food in Saigon that was viewed and shared thousands of times in just two days. In Vietnam, the food of each region (North – Central – South) owns different characteristics and has various cooking methods, which is a great contributor to the diversity of Vietnamese cuisine. 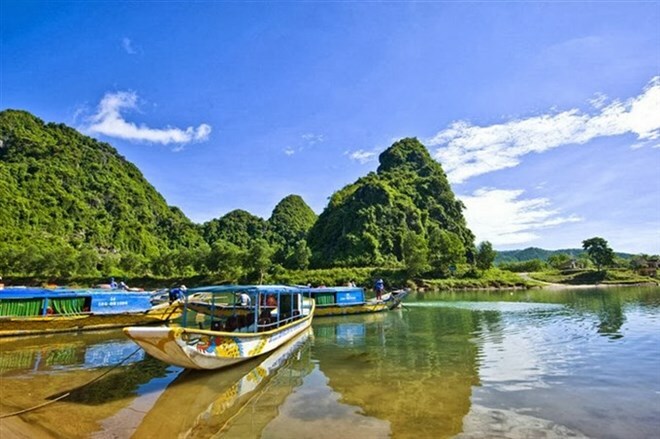 The North was the residence of Vietnamese ancestors long time ago; therefore, many traditional cultures and standards in eating and clothing have been established for many years. People living in the North usually choose the food containing frugal and a bit sour flavour. Favourite dishes of the local people include phở, bún thang (soup with shredded chicken meat, shredded fried egg, shredded steam pork cake and vegetables), bún chả (grilled pork and noodle), bánh tôm (shrimp cake), thịt đông (aspic), xôi cốm vòng (sticky rice with cốm), chả giò (minced pork sausage), and so on. In addition to traditional food on Tet holiday, the North is famous for the food between meals. These foods are not served in the three main meals in the day but many people are excited about them. And a special point is the food like mứt (murabba) made from fruits and cốm cake made from rice and mung bean keep unforgettable memories during the childhood of almost all the Northern people. The Central region is the exhausted land and not endowed with advantages of natural conditions like other areas. As a result, the local people always high appreciate their available products and turn them into the dishes with distinctive flavor making a deep impression on those who have an occasion to enjoy them. Normally, Central food include much spicy taste but less sweetness than food in the South. A typical example is Hue people, food always is created by various tastes, especially sourness and spiciness, for example, mắm cà (solanum macrocarpon sauce) and mắm tôm (shrimp paste). Outstanding dishes carrying Central characteristics are bún bò Huế (soup containing rice vermicelli and beef), bánh bèo (water fern cake), bánh xèo (sizzling cake), chả ram, bún cá (vermicelli fish soup)and bánh tráng thịt luộc (rice paper wrappers with boiled meat). It is said that cooking way express people’s characteristics. Indeed, different from the North or the Central, cuisine of this region is simple and not fussy. These traits of the food have similarities with the local people’s features. Coconut water are often added to the food, making the South’s food having much sweet taste. Some foods like grilled sausage, chicken congee; types of cakes like In cake, Men cake, Bò cake; kinds of chè (sweet beverage or dessert soup) involving chè kiếm and chè chuối contain coconut water or cốm dừa (sweet rice flakes with coconut shreds), helping increasing greasy and sweet taste. These distinctive features of local region significantly contribute forming the diversity of Vietnamese cuisine. That is the reason why Vietnamese food draws the attention of a considerable number of international tourists. Despite some differences, food of these regions still have quite a few similarities of structures of meals, cooking methods for types of food such as soup, sauce, additives, vegetables, and so on.